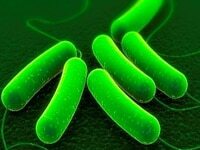 Probiotics are your good bacteria and pathogens are the disease-causing ones. When your body’s probiotics are depleted; usually through unhealthy habits, antibiotics, stress, lack of exercise or proper diet, pathogens take over, disrupting your digestive system which in turn affects your entire wellbeing. Since it is a necessity to promote and maintain efficient levels of good bacteria in your ‘gut’, knowing how probiotics can help protect you and what role they play in ones body will help you keep your healthy colonies optimized. Probiotics are yeast or bacteria that help support your immune system which in turn supports your goals to elevate the quality of your health. Many different types of probiotic bacteria are found in various foods and supplements. Taking live good yeast or bacteria may seem unorthodox or strange in the beginning. However, you should know that your body is actually filled with these microorganisms. Your digestive system is packed with at least 500 to tens of thousands of types of bacteria. They all help assist in digesting your food and help intestines remain healthy. When the bacteria in the digestive system are balanced, the nutrients are absorbed efficiently and the entire body functions optimally. Every system in the body, including the immune system, does its job. A body containing a strong balance of healthy bacteria is generally much more effective at warding off disease compared to one with depleted ‘good’ bacteria stores. Researchers are currently working hard to better understand the role of probiotics and what role they play in immune function. Many researchers concur that some digestive disorders occur due to disturbances in the intestines which happen during and after taking antibiotics or after an infection. The problems in the intestines also appear when the intestinal lining is damaged. Incorporating probiotics into your diet is how probiotics can help protect your body and restore your GI bacteria balance. They can improve the functions of your intestines and even maintain its lining’s integrity. They may also eliminate diarrhea. There is new evidence that probiotics indeed help maintain a strong immune system. With constant use of antibacterial products, naturally obtained probiotics seem to be impossible to acquire. That is why you have to ingest probiotics to help replenish your stores and help protect you when you need to defend against a bacterial invasion. You have the choice of taking probiotics through natural food sources or supplementations. Whichever you choose, you should always involve your doctor so that you can be sure of the right strain and the right dosage especially before you shop for your probiotics. Everyone multitasks even during meals and the leisure of taking time during meals rarely happens anymore in our busy society. Even supposedly quiet and relaxing dinners at home are now transformed into cell phone or internet- based eating. Juggling chores is the best technique used these days to make sure that everything is done on time. Because of this, it isn’t surprising to discover that many suffer from poor health. That is why many people are starting to invest in health programs or health supplements to help their body’s adapt better. Eating makes up most of the day’s activities. This habit may be turned into something healthier by choosing to eat functional foods such as probiotics. Probiotics may sound boring or repetitive especially if all you remember about it is yogurt or kimchi. It may even make things more monotonous for you if you take probiotic supplements in the form of capsules or pills. To end up with the right probiotic supplement, you have to do your own research or ask your doctor to help you make the right decision. A probiotic diet means that you have to accept the fact that your gut needs probiotics. If you constantly replenish them, then you will have a healthier body. Remember that taking probiotics could eliminate lactose intolerance and even yeast infections in women. Make sure that you eat fruits and vegetables whenever you take probiotics. They increase the amount of probiotics that feed the probiotics in your system. 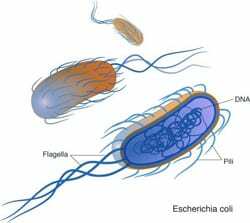 They may be microscopic bacteria but they do give your body huge health benefits. Rich Probiotic Foods Iron Chef Style?